Matt Patton (@rise_and_fire) is an RTC correspondent and an ACC microsite writer. He filed this report after NC State’s win over Georgia Tech last night in Raleigh. 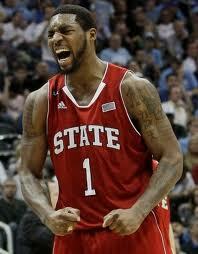 NC State is probably the second best team in the ACC. The Wolfpack are experienced and talented. But they’re also a mixed bag thanks to their less than stellar defensive efficiency. The Wolfpack is a team of runs on both ends of the floor. 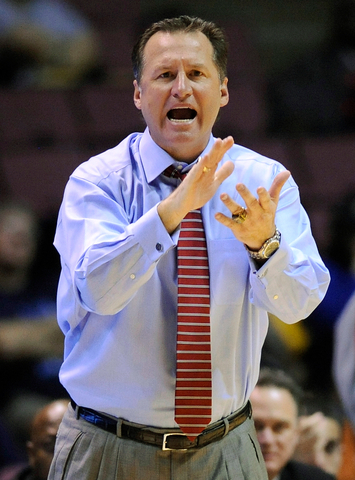 These aren’t the normal runs of basketball cliche, they’re the runs of a degenerate gambler. On defense the gambler is often Rodney Purvis leaking out before NC State secures the rebound. Nearly two-thirds of the time, it’s a good gamble because the Wolfpack corrals the rebound. Otherwise NC State’s defense struggles to get reset, and the opponent gets a second chance with the odds in its favor. On offense the gambler is generally Lorenzo Brown or CJ Leslie looking for the home run play but instead turning the ball over. Those runs outlasted Boston College and Georgia Tech in the final minutes. Experience, talent and conditioning helped too. Those runs almost brought the Wolfpack back from what looked like a blowout against Michigan. Those runs never made an appearance in Oklahoma State’s rout of the Wolfpack. The runs come at a defensive cost, but NC State’s offense is elite because of its defensive gambles. It is unstoppable in transition for four reasons: the Purvis leak, Brown is a terror leading the break, Leslie runs the floor as anyone without the last name “Zeller,” and the icing on the cake is Wood trailing after that. Long story short, everyone but Richard Howell (one of the best defensive rebounders in the ACC) is a great option. Lots of options with a capable floor general leads to transition success better or comparable to any team in the country. Fresh off a Sweet Sixteen run a year ago and carrying a roster bursting with raw ability, NC State began the season as one of the sexier national title contenders. Pack star CJ Leslie was voted ACC Preseason Player of the Year, pundits touted Lorenzo Brown as the nation’s best point guard, and Scott Wood found many a short list of the nation’s best shooters. Heck, even the incoming freshman class was bringing the buzz, as three ESPN Top-50 recruits made the roster that much scarier. There certainly are plenty of reasons for optimism residing on that NC State roster, but one of the most important ones has too often been overlooked. Richard Howell’s game lacks the sizzle of his more celebrated teammates, but the 6’8” forward’s dependable contributions have been crucial for this enigmatic team. Howell quietly posted another double-double (his fourth straight) in NC State’s 88-79 win over Stanford tonight, and as the talented Pack continues to move forward and carve out an identity, rest assured that the gritty senior will be the rock at the core of the evolution. Howell nearly averaged a double-double a season ago, posting season averages of 10.8 points and 9.2 rebounds per game. He’s upped those numbers to 14.1/9.6 this year, and has shot an eye-popping 63% from the field as an upperclassman. Ironically, the most telling Howell statistic may be his three-point shooting numbers from the last two years – 0-of-2 on three-point attempts. In an era loaded with bigs too often dreaming of being J.J. Redick, it’s refreshing to see a guy who knows, glamorous or not, where he’s most effective to his team. But Howell’s contributions go well beyond the stat sheet. On a team that has been accused of careless and disinterested play at times, the senior is a source of relentless energy — a bruising, tough banger who rarely takes a play off. Furthermore, as Mark Gottfried preaches the value of a consistent, focused effort on both ends of the floor to the enigmatic Leslie, he can instruct his star to simply turn and look at the guy next to him, for Howell is the perfect embodiment of those principles. The ACC-Big Ten Challenge on Tuesday/Wednesday nights will give us some of the best non-conference match-ups we’ll see this season. It should be a great battle between two of the top conferences in the nation. We sneak in Kentucky vs. Notre Dame also later this week. Let’s get to the breakdowns. 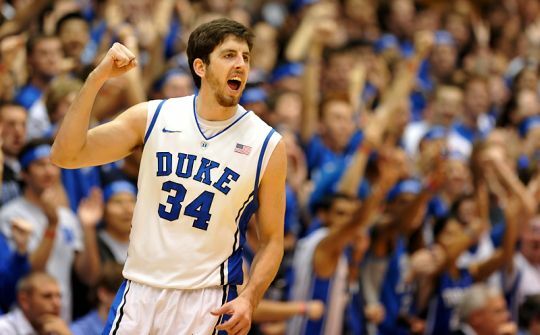 The ACC-Big Ten Challenge gives us some of the best games of the season so far. Minnesota comes into this game battle tested from a tough, early non-conference schedule. With the exception of the Gophers’ loss to Duke, Tubby Smith’s squad is winning with defense. Typically, we would say the same thing about Florida State’s defense, but it’s their offense that is winning their games this season. The Seminoles are shooting 56% from two and 41% from three. While Minnesota has only allowed opponents to hit 29.6% of their three-point attempts this season, they have been susceptible to the long ball in their last three outings. Additionally, they have been poor on the defensive glass, allowing teams to grab 37% of their misses. FSU has four players that shoot over 40% from beyond the arc and they are actually taller than the Gophers, particularly in the backcourt. Pay close attention to FSU’s three-point shooting and offensive rebounding in this one. Because Minnesota is not a great shooting team, they are going to have to figure out a way to deal with the Seminoles’ size on the offensive glass. Thus far, the Gophers are grabbing 47.3% of their missed shots on the offensive end, which is good for fourth in the nation. The winner of this game will be the team that owns the offensive glass. Both of these teams are in the top 20 in effective field goal percentage thus far in the season. Three-point shooting will be a key factor in this match-up with both teams hovering right around the 40% mark. 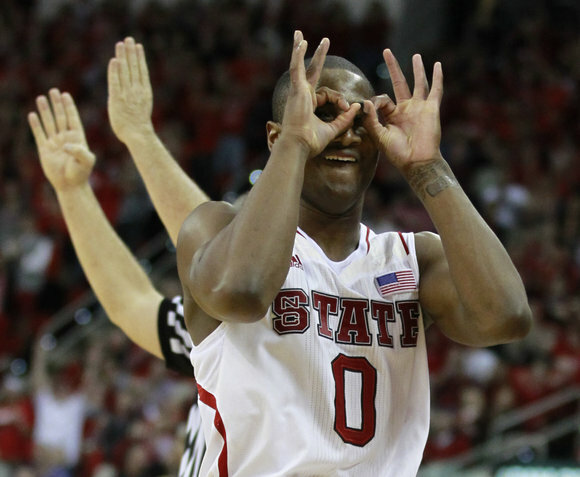 The Wolfpack is led by Rodney Purvis and Scott Wood on the outside, shooting 58.8% and 44.8% respectively. Those are the only two players on NC State who have attempted more than 10 three-point shots on the season. The Wolverines, however, have four players – Trey Burke, Tim Hardaway Jr., Nik Stauskas, and Glenn Robinson III – who have attempted 10+ threes and all are shooting at over 30%. Both teams are middle of the pack at defending the outside shot, so it will be interesting to see who is able to take this advantage. While offensive firepower seems to be the key in this game, defense will ultimately determine the winner. Michigan has held all of its opponents under a point per possession this season and has proven it can win ugly against Pittsburgh. NC State is the best offense UM has faced thus far, though, but the question remains if the Wolfpack can hold off the plethora of Wolverines who can score. NC State is coming off a shellacking at the hands of Oklahoma State and a very close win against UNC-Asheville, where they allowed an eFG of 56.3%. If they don’t improve that field goal defense against Michigan, they will get crushed again. On paper, the match-up between North Carolina State and Oklahoma State seemed to favor the Wolfpack. 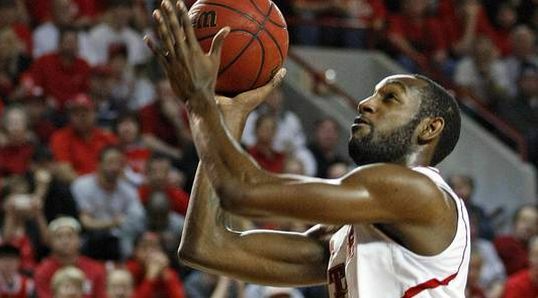 NC State has a one of the best rebounders in the country in Richard Howell while C.J. Leslie can, at times, be relentless on the glass. Meanwhile, the Cowboys were one of the worst rebounding teams in the nation last year. The math seemed simple: Even given an off-shooting night, NC State would win the battle of the boards. Even moving beyond the frontcourt, NC State’s cast of skilled veterans and talented rookies was supposed to make this team the easy favorite in the Puerto Rico Tip-Off. Yet when the final buzzer sounded, the Wolfpack was a 20-point loser to the Cowboys. What went wrong? Stop me if you’ve heard this one before: Richard Howell and C.J. Leslie failed to make an impact on the game because they were hampered by foul trouble. The two talented players couldn’t stay on the court because of the relentless interior attack of Oklahoma State. Both players fouled out, with Howell tallying 16 minutes and Leslie managing 17. With those two gone, the Wolfpack lost their advantage in rebounding and ultimately ended up with only 27 rebounds to the Cowboys’ 42. By nullifying NC State’s clearest plus, Travis Ford’s team opened the door for an upset. Washington Post: While most of the ACC is starting out their season (tonight!) with some overmatched competition (with apologies to Virginia who will take on George Mason), Maryland is opening their season with a real challenge. Though this year’s Kentucky team is totally different from the beast that dominated college basketball last year, the Wildcats are still stacked with top recruits and still led by John Calipari. Maryland plans to put up a fight however, and the sudden eligibility of sensational wing Dez Wells puts a little muscle behind that hope. Though Calipari is making his traditional noise about how he feels his team is overrated and how he is concerned about the Terrapins, there is no doubt that Maryland is the underdog in this fight. Backing the Pack: Meanwhile in Raleigh, there remains at least one question: who will be the North Carolina State‘s fifth starter?Lorenzo Brown, C.J. Leslie, Richard Howell, and Scott Wood are no-brainer starters for Mark Gottfried, but the final starting slot has not yet been named. 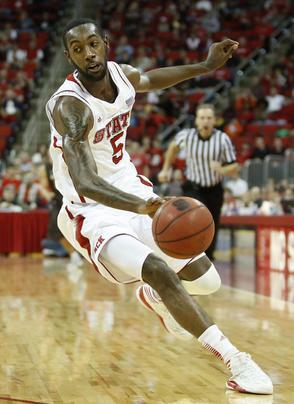 Gottfried said that he isn’t sure who will start, while adding the caveat that he doesn’t think it matters too much. The most probable choice is that the coach will go with highly-touted freshman guard Rodney Purvis, though there is an outside chance that the spot will be earned by T.J. Warren. Of course, it could always be some wild card option, but these two are the most logical choices. ESPN: In Chapel Hill, Roy Williams is dealing with a similar issue. Freshman Marcus Paige has been named a starter along with veterans Dexter Strickland, Reggie Bullock, and James Michael McAdoo. This leaves one open spot for North Carolina, and considering the named starters, the spot belongs to a big man. In the exhibition game, Desmond Hubert got the start, but freshman center Joel James shined when he got his turn. Williams suggests that little used sophomore Jackson Simmons and spindly freshman Brice Johnson could also get the start, but Hubert and James are the clear frontrunners for the spot with James holding an edge. Fox Sports: After a year spent playing home games in other peoples’ gyms, the Georgia Tech Yellow Jackets finally have a home court. Tonight the first game tips off at McCamish Pavillion, the new name for the renovated Alexander Memorial Coliseum. The building connects the Yellow Jackets to their storied past while also showcasing a dramatic environment for home games. While certainly new video and sound equipment are clear upgrades, the coolest addition to this court has got to be GT’s embrace of theater-style lighting, the effect of lighting the court while keeping the stands relatively dark, an unabashedly neat effect that evokes Madison Square Garden and the Staples Center when the Los Angeles Lakers are playing (the Clippers use a different, more traditional lighting scheme). It’s a neat idea and one that will hopefully add some extra atmosphere to the rechristened Thrillerdome. Wilmington Star News: The preseason Wooden Award Watch List has been released and six ACC players have been unsurprisingly tapped for the list. North Carolina State’s C.J. Leslie and Lorenzo Brown, Duke’s Mason Plumlee and Seth Curry, North Carolina’s James Michael McAdoo, and Florida State’s Michael Snaer represent the conference on the list. Considering that this list fairly closely mirrors most folks’ All-ACC First Team, there isn’t too much to complain about, though C.J. Harris and a couple players from Miami may have a reason to grouse. As always, this list doesn’t include any of the impact freshmen who are expected to make their mark upon the conference, though they will surely be added once they show what they can do in the college game.